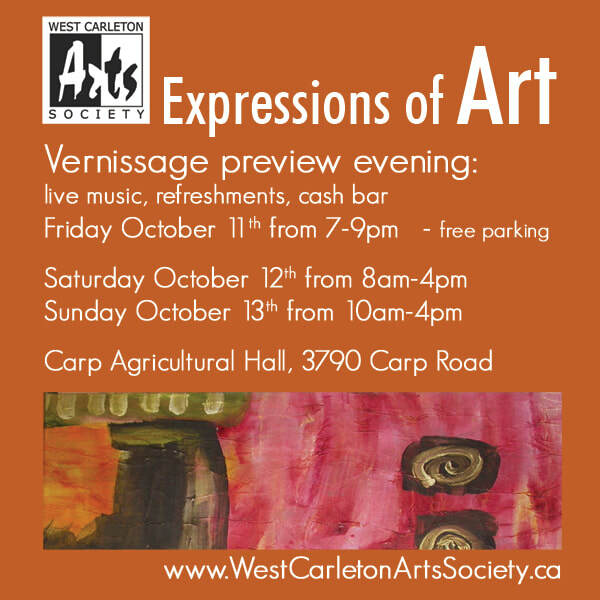 West Carleton’s premier art show! Come browse the fine artwork of more than 30 artists from around the region. Talk to the artists, share some refreshments and participate in the viewer’s choice selection. with live music by Stephen Fuller, cash bar & special guests. The venue for Expression of Art is wheelchair accessible. We'd like to thank our 2018 show leaflet advertisers for their kind support of our fall exhibition and sale.